I decided to start this journey by visiting a normal vector. Just to be sure we are all on the same page a few words about the normal vector. 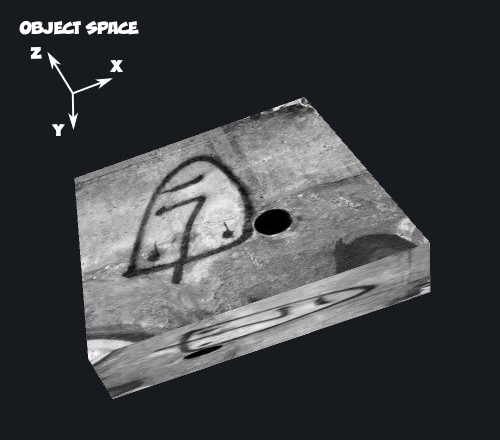 In 3D space a vector which is orthogonal (perpendicular) to a plane, it is called a normal of this plane. 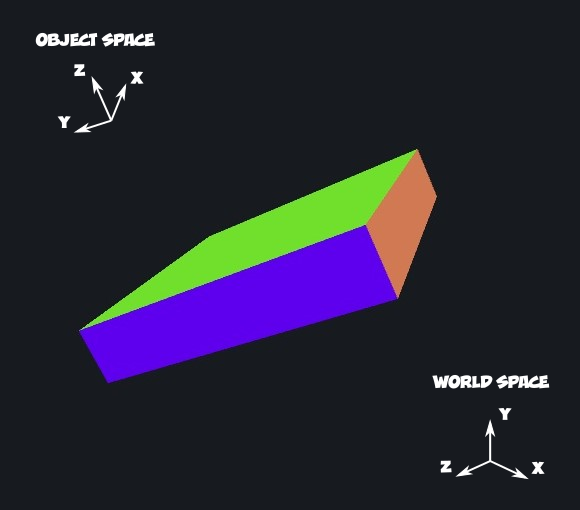 This means that the normal vector defines the plane orientation is 3D space. There is massive number of online resources about this subject, so if you want learn more just google it. But now we just move to coding. I will start with my base shader. It is just very simple vertex and fragment shader. You can download it from my github Base Shader or in Unity3D (I have done that for Unity3D 2017.2.1p4) hit Create/Shader/Unlit Shader. Then open this shader and (i) remove lines related to a fog and (ii) removed the shader level of detail (LOD 100) line. Of course this is a quite boring shader. It will render a white flat object only. However it is perfect starting points, and we will build from it. If your shader is attached to any object, you should see the difference immediately. 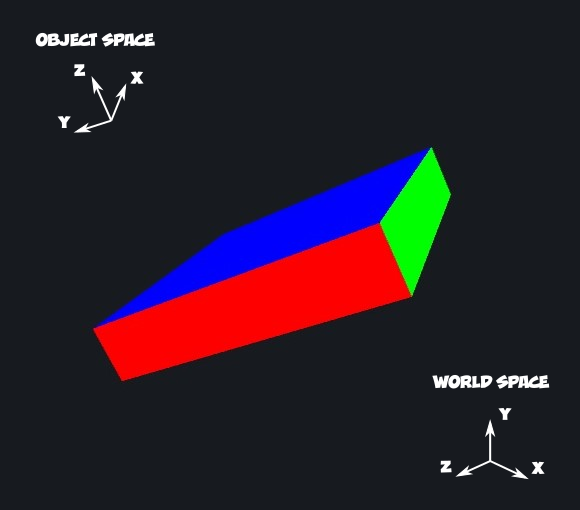 If not try to rotate object, to be sure that the Object Space is not perfectly aligned with the World Space. 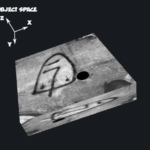 The shader impact on my box model is presented on Fig. 2. 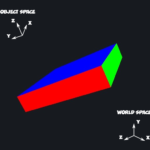 Now the colours are related to World Space as expected. Since the object is not perfectly aligned with the World Space coordinate system the RGB channels of faces colours are mixed. Fig. 3. shows the model of box when the effect is not applied. And video bellow shows the result of the shader for both the World and Object Space normal. 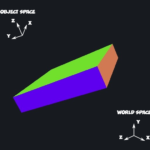 You can see that faces of box which are not aligned along z-axis is drawn black instead of taking values from texture. And that is all for now. Thanks for reading. Recently I invested a bit of my time to learn how to write Shaders for Unity3D. I read books, watched tutorials, took online course etc. There are truly amazing teachers out there. But writing shaders is not only about knowledge it is actually mostly about the practice. So I decided to start a small project, where I will experiment with Shaders. Sort of travel blog, but instead of exploring real world, we will wander in 3D computer graphics shaders space. Hopefully this will be useful for you and just to let you know I am still learning how to program shaders so please feel free to correct me if you find any mistake. I have started github repository, where I will keep shaders built for this project. So in many cases I will not show the full shader code here. Instead I’d like to focus on important for a blog post parts of shaders. But I will make everything as easy as possible so you can replicate it.